A friend told me that it took a few hours than he expected to root Nexus 9. I was surprised to hear that, because the Nexus 9 rooting process is pretty simple and easy. How can it take a few hours to do it? This full guide for how to root Nexus 9 is written for people who want to root Nexus 9 but are not familiar with the whole process, hoping it will be helpful. Let's check out how to root Nexus 9. Note: before rooting Nexus 9, you have a few musts to do, like backing up important data, charge your Nexus 9 with more than 50% battery, disable anti-virus and Firewall on Nexus 9, and more. Please check out by yourself. 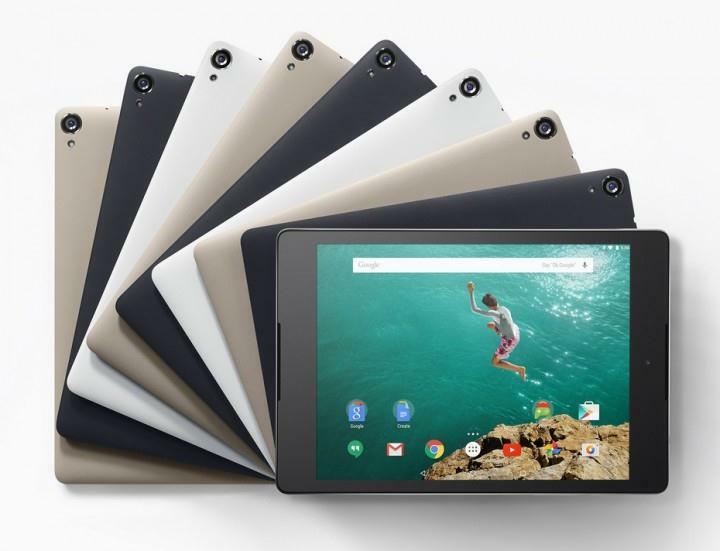 I have to tell you that you may lose data while rooting the Nexus 9, so before rooting, backup your Nexus 9, making sure you've gotten everything important in a safe place. And the root will void your warranty. Step 1. Tap Settings > About tablet > tap Build number 7 to 10 times until you see the message that tells you have accessed to developer settings. Go back to Settings > About tablet > enable the Developer options. And then under Developer options, swipe Enable OEM Unlock and USB Debugging. Step 2. Download and unzip CF-Root for Nexus 9 on your computer. Step 3. Download and unzip ADB and Fastboot tools on your computer. After then, install it on your computer. Step 4. Connect your Nexus 9 to your computer via its USB cable. When a pop-up appear on Nexus 9, asking you to Allow USB debugging on Nexus 9, click OK to accept it. Step 5. Go to the Fastboot files folder, open a command prompt by pressing Shift key and a right-click in the empty space. In the context menu, select Open command windows here. Step 6. Power off the Nexus 9. Hold the Volume down key and the Power key simultaneously for a few seconds. In the Bootloader/HBOOT mode, highlight the FASTBOOT option by using the Volume keys and select it by pressing the Power button to enter Fastboot Mode. From here, type in the command: fastboot oen unlock. Unlock the bootloader by pressing Volume UP button. After then, waiting for the Nexus 9 to rebbot. Step 7. Keep your Nexus 9 connected with your computer. Enter the command: adb reboot bootloader to boot into bootloader/fastboot. And then type the command to boot from inject.img: fastboot boot inject.img. Flash the patched kernel to root Nexus 9: fastboot flash boot patched.img. Step 8. Reboot the Nexus 9 by typing the command: fastboot reboot. See, the above is how to root Nexus 9. By applying the way above, for sure, you'll successfully root your Nexus 9. However, for some people who afraid of typing command and not know that much about rooting, it is a little troublesome for them to follow the steps above. 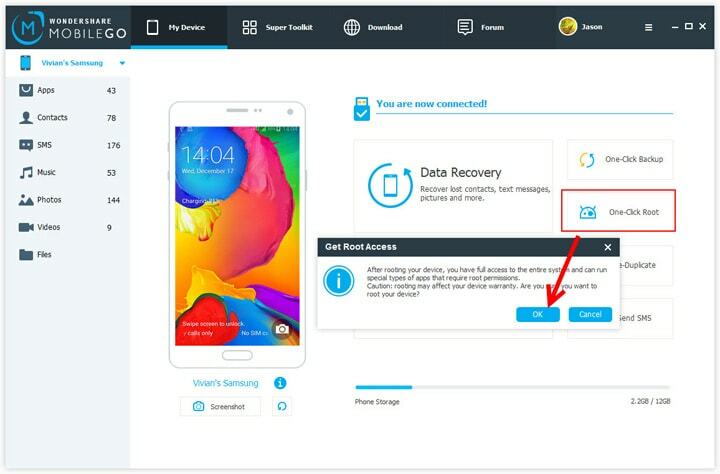 If so, I suggest you try the One-click Root feature in Wondershare MobileGo. It only takes you 3 simple steps to root your Nexus 9. Step 1. 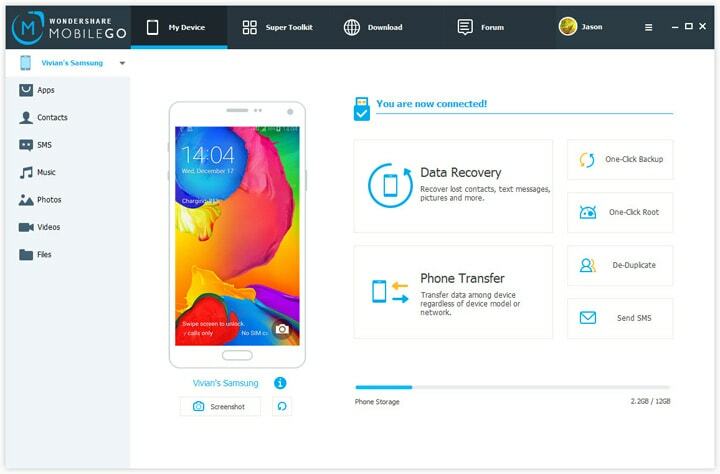 Download and install MobileGo on your computer. Now it only supports Windows operating system. After then launch it. Step 2. Use the USB cable connect Nexus 9 with your computer. And enable the USB debugging on your Nexus 9: tap Settings > About tablet > tap Build number 7 to 10 times until you see the message that tells you have accessed to developer settings. Go back to Settings > About tablet > enable the Developer options > check USB Debugging. Step 3. Click the 'One-Click Root' button on the right side of the window, letting the MobileGo do the rooting for you. In the pop-up window, click "Ok" to confirm the rooting.